Come dressed in your favourite PJs and charge Chater Garden with your fluffy pillows as part of the worldwide feathery flashmob. 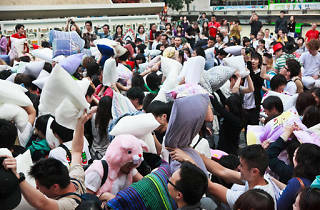 Come armed with your favourite pillow and it's time to battle it out again for the annual Pillow Fight Day! 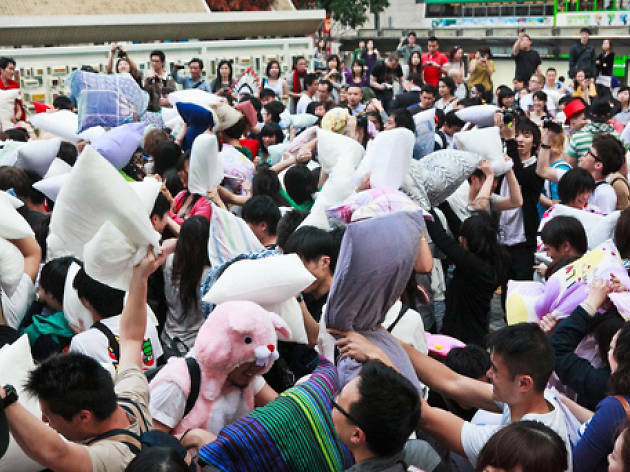 The international pillow fight celebration takes place across all the major cities in the world and the HK edition is back for its 7th year. Come dress up in your cosiest PJs or rock out an awesome onesie and let out all your 2017 aggressions on fellow pillow-fighters. Remember to bring extra pillows!